Veronica Kirin is an Anthropologist turned Serial Entrepreneur. Her career has taken her from Disaster Relief through the Startup world. She is founder of the award winning GreenCup Website Services, author of Stories of Elders, and Entrepreneur Coach to LGBTQ Women certified by the National LGBT Chamber of Commerce. She is also the founder of the Fempreneur Forum, where women Entrepreneurs can build community and get Coached in workshops and Live Q&As. Veronica discusses Instagram videos of her morning practices for entrepreneurial productivity, using self-forgiveness and self-compassion. How her experiences of PTSD and chronic pain inspired her to create self care tools for her clients. Her new book interviewing elders about their experiences and perspectives with technology – how it’s effecting us and the future of our culture. Stories from queer elders about the importance of human connection, and how it’s dwindling as a result of the proliferation of technology. 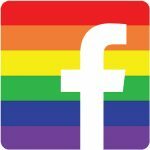 Join the Queer Spirit Community Facebook group to continue the conversation and stay up to date on new episodes.